The gold-plated bronze statue is Hollywood's top prize. 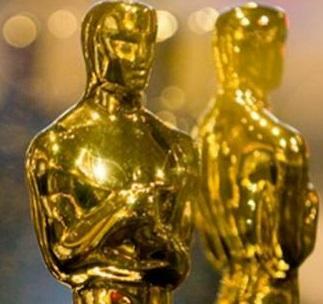 Today, a special Oscars Preview edition of Midday at the Movies, with guest host and Midday senior producer Rob Sivak sitting in for Tom Hall. With the Academy of Motion Picture Arts and Sciences gearing up for its 91st annual awards ceremony in Los Angeles later this month, we’re going to talk about some of the extraordinary films and artists that have been nominated for Oscars – and some that weren’t but should have been. Joining Rob to help size up the contenders are two of Midday’s favorite movie mavens: Jed Dietz is the founding director of the Maryland Film Festival, which also runs the historic SNF Parkway movie theater on North Avenue; Max Weiss is the editor-in-chief of Baltimore magazine and the periodical’s hard-working film and pop-culture critic, who also shares her thoughts on her blogpost maxthe girl.com and on Twitter and Instagram, @maxthegirl. She is also a certified critic for Rotten Tomatoes' film review service. And we hear from listeners about their picks for their year's best films and best performances. The conversation was live-streamed on WYPR's Facebook page, and you can watch that video here.